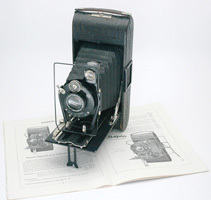 The Rollfilm series have several models and different formats of film cameras. 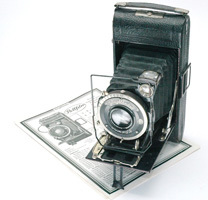 All are folding-bed cameras with leather covered metal body. Brilliant finder, frame finder on the side and wire finder near the lens. Compur, Embezet or Ibsor shutter. Voigtar, Skopar or Heliar lens.